Createspace Independent Publishing Platform, 9781502540423, 308pp. 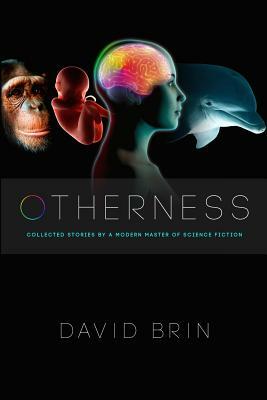 From Hugo and Nebula winning author David Brin comes this extraordinary collection of tales and essays about the near and distant future, as humans and other intelligences encounter the secrets of the cosmos - and of their own existence. In The Giving Plague, a virus, transmitted by blood donation, begins to change humanity. In Dr. Pak's Preschool, a woman discovers that her baby has been called to work while still in the womb. In Natulife, a married couple finds their relationship threatened by the wonders of virtual reality. In Sshhh... the arrival of benevolent aliens on Earth leads to frenzied madness as humans rush to conceal their secret 'talent.' In Bubbles, a sentient starcraft reaches the limits of the universe - and dares to go beyond. What happens when an urban archaeologist discovers a terrible secret under the landfills of Los Angeles? Will there still be a purpose for "biologicals" when cybernetic humans become mighty and smart? Come explore these and another dozen startling and provocative tomorrows with a modern master of science fiction. Table of Contents The Giving Plague Myth Number 21 Dr. Pak's Preschool Detritus Affected The Dogma of Otherness Piecework Natulife Science vs. Magic Sshhh... Those Eyes What to Say to a UFO Bonding to Genji The Warm Space Whose Millennium? Bubbles Ambiguity What Continues...And What Fails... The New Meme. David Brin is a physicist, futurist, and science fiction author. His books include The Postman, Earth, Existence, Startide Rising, The Uplift War and Kiln People, as well as the short story collection, River of Time. His nonfiction book, The Transparent Society: Will Technology Force Us to Choose Between Freedom and Privacy? explores issues of secrecy and accountability in the modern world.